As the principal website developer and customer contact at the Stanley Weiss Collection, I've had the pleasure of connecting a wide variety of people from around the world with the fine furniture in our inventory. Over the years, we have met recent retirees who wanted to start perfecting their home décor, young professionals who were appointing their office with pieces that exuded quality and taste, decorators who were helping their clients find the perfect centerpiece to a room, and even antique dealers squirreling away a few choice pieces for their own homes...just to name a few. The following are a few highlights from some of the communications we have had with the collectors we've met. I have set up my furniture in the most suitable place. We enjoy our wonderful furniture, owing to your faithful dealing. I believed in a brief on the web and a picture from far across the ocean. That is to say I believed you and your intelligence. This is the right choice. Thank you for your kind treatment and I will remember you as my friend. P.S. 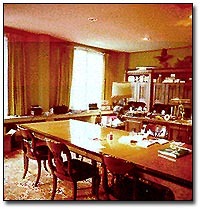 I will show you my conference room with a poor Polaroid photo. As a seller on eBay, we have earned a 100% positive feedback score, and pleased many grateful collectors. Below are several of the comments we've received over the years. Click here to see our full eBay feedback profile. I finally got the cabinet into my house! They did a really great job packing it! ... The cabinet is beautiful and it was a pleasure doing business with you. Too bad I can't afford most of your items on an academic salary! I'll keep checking your website periodically. Along with the Chippendale End tables I will take the Chinese Portraits. Thank you. You certainly have brightened a gloomy time here. 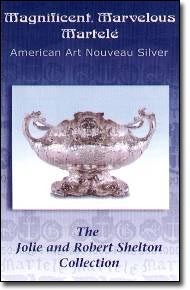 I am pleased to inform you you that at their meeting on March 21, 2001, the trustees of the New Orleans Museum of Art agreed to purchase from your company a group of three Martele silver objects: a pair of Bud Vases, a larger Flower Vase, and a Salver. This is a wonderful addition to our collection of Martele silver and I appreciate your assistance in making its aquisition possible. What did you do with your piece from the Stanley Weiss Collection? If you have joined the club of lucky owners of Stanley Weiss Collection furniture, we invite you to add to this page. Please e-mail us your comments, reviews, and reactions to your furniture, and-if possible-please send us any digital images you have of your purchase in its new home. We would love to hear more reactions from our growing family of collectors and see what uses you have found for the fine furniture! Please e-mail your images and comments to us at .